Hello fellow Bloggers! Welcome to my little blog. =) Thank you for stopping by from the Ultimate Blog Party! Hope you are all having a great time at the party and having a very Happy Spring! As you can see, I have not done much blogging over the past few years, but I hope that I can find the time to do it again in the future, as the Good Lord wills. I enjoy blogging, and doing reviews and giveaways on my blog, sharing recipes and tips, and just writing, what I hope is inspirational post for moms and anyone who reads them. I am a simple woman who has been saved by my Amazing Heavenly Father's love and grace! I am a very blessed wife and mom. I am a freak of my generation, who enjoys staying at home, homeschooling our children, cooking and baking, reading, watching my children learn, play and grow. I love spending everyday with my family! I love babies and children! I love the great outdoors, God's creation, and reading the Bible! Thank you again for visiting my blog! 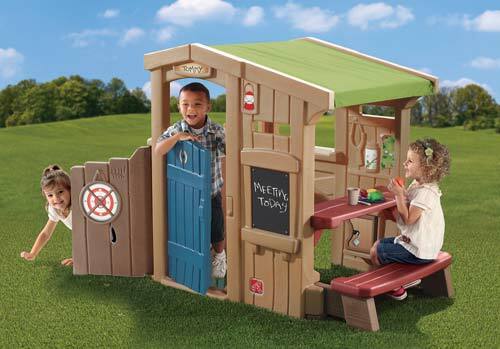 Right now though, you can enter a giveaway for your chance to win this Clubhouse! Disclosure: I received no compensation for this publication. My opinions are my own and may differ from those of your own. Preparing For Our Children's Future is not responsible for sponsor prize shipment. 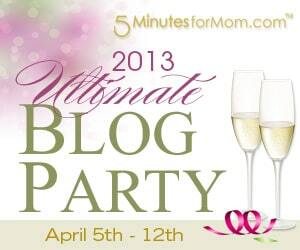 Welcome from the Ultimate Blog Party!!! Hey! Welcome from the Ultimate Blog Party! I am assuming that everyone else already knows about it and has joined in the fun. ;) I am fashionably late...as usual. =( I really need some sort of reminder for this awesome event!! I have kind-of neglected it lately since we are so busy with home school, and spring time activities here. Also have been mulling over some things I may want to change about my blog and blogging. Hope you will follow and let me know your thoughts. Hope everyone is having a blessed spring. 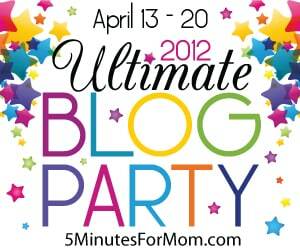 =) And great time at the Ultimate Blog party!!! Freschetta Rally for Real Pizza Campaign!! Hey friends! If you love pizza as much as I do, you will love to hear about this! Freschetta is having a Rally for Real Pizza campaign! "Frozen pizza shouldn’t simply taste better. It should be better. Freschetta® frozen pizzas are made with top-quality ingredients and taste-tested recipes, just to make sure your pizza will always deliver Fresch® flavor." I Rally For Real Pizza because I don't want to feed my family a pizza that has very little taste and is like you are just eating some crust with a dab of cheese throwed on top and a few pieces of meat or veggies that everyone will fight over. I want a pizza loaded with flavor! Flavor in the crust, flavor in the cheese, and tons of flavor loaded toppings!! Freschetta™ Rally for Real Pizza campaign has an awesome Rally Mosaic on Facebook that you have got to check out! You can join the Freschetta™ Rally for Real Pizza by submitting a photo to the Rally Mosaic on Facebook. Each week they will select 100 winners – to each receive 5 Freschetta® pizzas. On March 30, they will also select 10 winners – who will each receive Freschetta® Pizza for a Year! I occasionally receive compensation in the form of products for posts. However, the opinions I share are solely my own. In a large bowl, combine the first seven ingredients. In a small bowl, combine the oil, dressing mix, dill, garlic powder and cayenne. Drizzle over cereal mixture; toss to coat. Transfer to two greased 15-in. x 10-in. x 1-in. baking pans. Bake at 250° for 45-55 minutes, stirring every 15 minutes. Cool on wire racks. Store in an airtight container. Yield: 3 quarts. In a bowl, combine the first five ingredients. Spread in two ungreased 15-in. x 10-in. x 1-in. baking pans. Combine the taco seasoning, oil and butter; pour over cereal mixture and toss to coat. Bake at 200° for 2 hours, stirring every 30 minutes. Cool. Store in airtight containers. Yield: 4 quarts. Editor's Note: This recipe was prepared with Planters' Cheeze Balls. In a large bowl, combine all ingredients. Store in an airtight container. Yield: 4 cups. I am thinking this recipe may be good with my homemade granola, instead of the oatmeal squares cereal. In 15-inch x 10-inch x 1-inch baking pan, combine cereal and almonds. In small bowl, mix melted butter, apple pie spice, and salt . Drizzle cereal mixture. Toss to evenly coat. Bake 20 minutes or until almonds are toasted, stirring once during baking. Cool in pan on a wire rack for 20 minutes. Add dried cherries and/or golden raisins. Cool completely. Store in tightly covered container at room temperature for up to 1 week. In several large bowls, combine the popcorn, Corn Pops and corn chips. In a large saucepan over medium-low heat, melt chips; stir until smooth. Pour over popcorn mixture and toss to coat. •Spread onto two 15-in. x 10-in. x 1-in. baking pans. Cool. Store in airtight containers. Yield: 7-1/2 quarts. In a large bowl, combine the cereal, corn chips, peanuts and oats. Combine butter and honey; drizzle over cereal mixture. Sprinkle with chili powder, salt and oregano; toss to coat. Spread in a single layer in an ungreased 15-in. x 10-in. x 1-in. baking pan. Bake at 350° for 20-25 minutes, stirring once. Cool. Store in an airtight container. Yield: about 10 cups.